I know that sounds really strange, doesn't it? 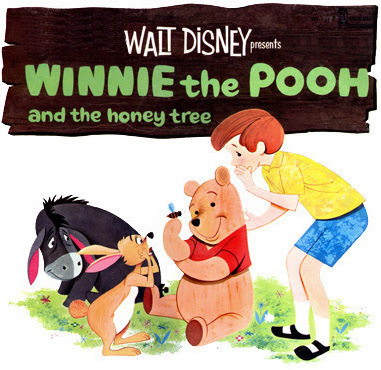 Forty-two years ago, "Winnie the Pooh and the Honey Tree" is released with one of Walt Disney Productions' live-action features. Walt wanted to sell the public and children specifically, on Pooh over the long run. So he broke the story into parts... This was the first one. The second, "Winnie the Pooh and the Blustery Day" wouldn't be completed until after his death(my favorite, btw). The third, "Winnie the Pooh and Tigger Too" would come a few years later. Since then, young and the young at heart have grown up around this classic creation.